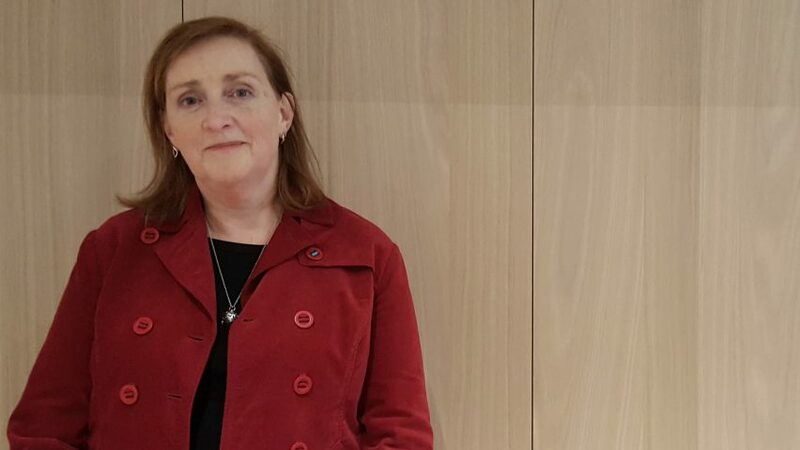 Emma Dent Coad, the Labour Party politician who claimed a surprise election victory in the UK's richest constituency, is a design writer and architecture historian known for campaigning against gentrification. Dent Coad was declared winner of the London seat of Kensington on Friday night, beating the Conservative incumbent, Victoria Borthwick, by just 20 votes. It was the last seat to be called, following three recounts that necessitated tired election officials take a break and sleep during the day before beginning the final tally. The count generated particular interest because Kensington is the wealthiest seat in the UK and had previously never elected a Labour parliamentarian in its 34-year history. Dent Coad, 62, has been serving as a local councillor in the Kensington and Chelsea London Borough since 2006, representing Golborne Ward. The biography on her blog also details a 30-year career spent studying and writing about design and architecture, including an MA Design History at the Royal College of Art, and contributions to Building Design, Design Week and Blueprint. Her specialty is 20th-century Spanish architectural history, as well as social housing. While the area she represents may be best known for its celebrity residents, on her blog Dent Coad also identifies it as "home to Kensal House by Grey Wornum and to Trellick Tower and the newly listed Edenham Way by Erno Goldfinger" – all prominent London social housing estates. She has campaigned to protect this heritage, as well as the poorer residents who reside there, from the effects of gentrification in her time on Kensington and Chelsea London Borough Council. "Golborne ward, with the fabulous Trellick tower and Golborne market and all its trendiness, is the joint poorest ward in London," Dent Coad told the Guardian. "People are getting poorer, their income is dropping, life expectancy is dropping and their health is getting worse." "There is no trickle down in Golborne ward and there is no trickle down anywhere in Kensington." Dent Coad said she will continue to having housing and planning policy in her sights as she sits in parliament. "I strolled from Warwick Road down Kensington High Street and I photographed all the buildings to see if the lights are on," she said. "There is an entire block, bought by one family, and they are never there and it is completely empty. "In another block, One Kensington, there are 97 super-luxury flats and there are only four that ever have lights on," she continued. "Planning should be about people, not about making money for developers, and we have lost the plot on that. I am going to be shouting loud and hard about that in my role." As well as its expensive residences – terraced houses in the neighbourhood sold for an average of £4.3 million – Kensington is home to major London museums like the V&A, Design Museum and Natural History Museum. Incomes in the constituency averaged £119,000 in the 2015-15 financial year. Overall, last week's general election delivered a hung parliament, with the Tory party winning a total of 318 seats and forming government based on the support of Ireland's Democratic Unionist Party. Labour took a total of 262 seats, an increase of 30 on their previous number. UK designers and architects have expressed "mixed emotions" about the result – many see the result as an opportunity to negotiate a better trade deal with the EU, but are concerned about the political uncertainty it will bring. Meanwhile the Creative Industries Federation sees the result as an opportunity to prevent a hard Brexit. The Royal Institute of British Architects has also now put out a statement of response to the result. The body has welcomed the Conservative government, singling out its housing policy as grounds for that support. "The Conservative manifesto made the link between housing, infrastructure and good design in creating better communities and, quite rightly, recognised the absolutely vital role that architects play in improving lives," said RIBA President Jane Duncan. "We will continue to reinforce this message with the new Conservative-led government." "The forthcoming Brexit negotiations make this a particularly critical time for our sector, presenting challenges as well as opportunities for architects. The RIBA has been consistent and clear about our priorities: we must have access to the best talent from around the world, and mutual recognition of our members qualifications across the EU in order that the sector can continue to thrive." Portrait of Emma Dent Coad by Dave Mullen Jnr.